Poll Everywhere is a simple application that works well for live audiences using mobile devices like phones. People participate by visiting a fast mobile-friendly web page for your event, sending text messages, or using Twitter. Instructions are displayed on-screen. The poll that is embedded within Powerpoint, Keynote, Google Slides, or web page will update in real time. Advanced uses include texting comments to a presentation, texting questions to a presenter, responding via the web, and SMS interactivity in print, radio, and TV. You can respond by following the instructions shown on the poll when it is displayed. You send a text message to the number 22333. The format of your response is determined by the type of poll. More detailed information can be found in the User Guide. You can also respond via the poll’s web page on PollEverywhere.com, or via an embeddable voting widget, or on a mobile web browser using PollEv.com, or even through Twitter. 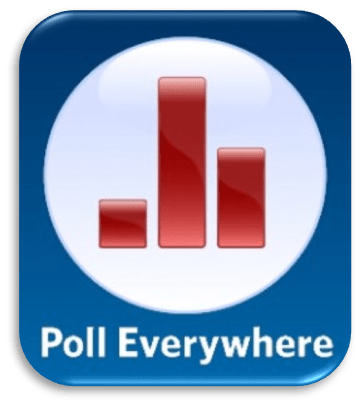 Poll Everywhere is $3.50 per responder per year and this cost will be charged back to the programs/schools using Poll Everywhere. A responder can respond to unlimited polls in unlimited courses taught by any professors under the USC Poll Everywhere license. Please make sure you have gotten approval from your academic unit before using Poll Everywhere. Integrations’ allow for the sharing of data between Blackboard our Learning Management System (LMS) and Poll Everywhere. Follow these steps to finish configure your Poll Everywhere grade book for integration with Blackboard. email Support: https://www.polleverywhere.com/contact-support or support@polleverywhere.com.